Last December we posted an article about how to start a nano reef aquarium with a lot of tips on how to set up and maintain it. 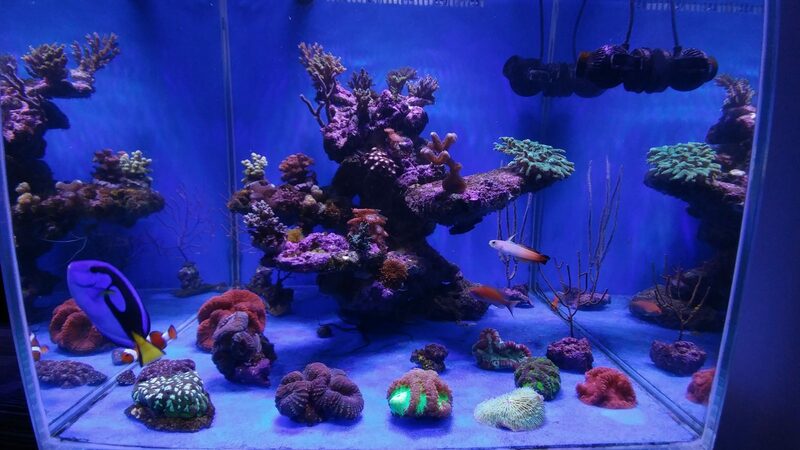 Today we are sharing a beautiful nano reef tank from Greece! Greece is famous for its beautiful coral reefs’ diving sites and our client did manage to set his own private reef corner! 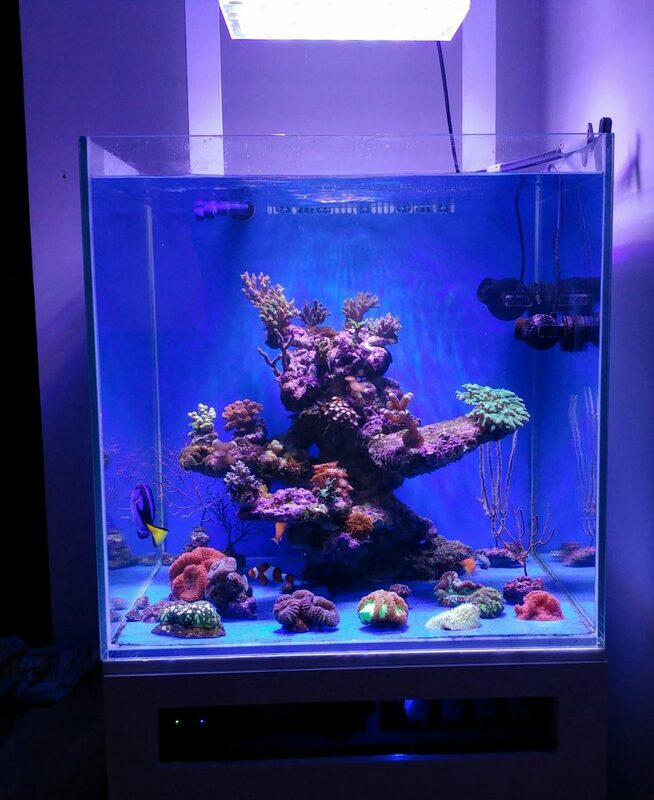 Kostas has set a cube tank 65x65x65cm 4-5 months ago with LPS and SPS corals. 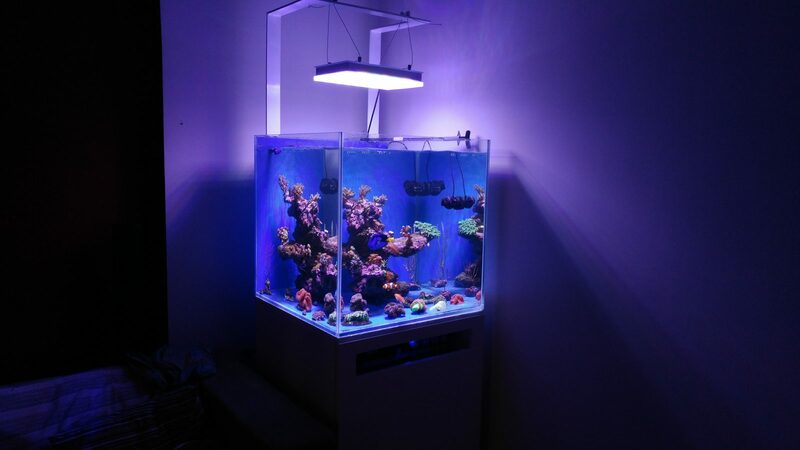 He is running an Atlantik Compact unit to prevent heating and get the right amount of light needed for his corals. The result is spectacular!